Anti-corruption march planned for August 19 in Pretoria and Cape Town. South Africans from all walks of life are invited to demonstrate against corruption in South Africa. 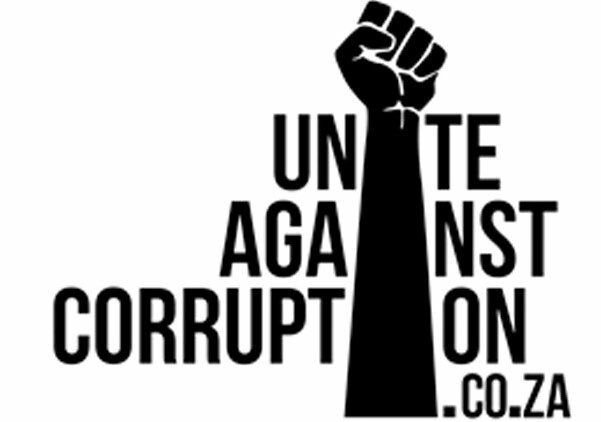 Unite Against Corruption, have put out a rallying call to action for people from all walks of life to join the marches on August 19, 2015 in Cape Town and Pretoria, and other related activities. Unite Against Corruption presents an opportunity to bring together, in a spirit of unity, all those people who view corruption as an assault on South Africa’s Constitutional promise of equality and dignity. Unite Against Corruption believe that the broad representation within the coalition signifies that they have reached a tipping point where people are ready to overlook differences in order to protest against the damage that corruption has wrought onto the country. 7th August 2015, Cape Town: picket of the National Assembly in Cape Town during parliamentary debate on the ‘Nhleko report’, which found that President Zuma does not need to pay back any money for Nkandla upgrades despite the findings of the Public Protector. Pretoria (12:00): the “People’s March Against Corruption” will start from multiple locations to converge on the Union Buildings. Cape Town (12:00): a mass march to Parliament will take place in solidarity with the main march in Pretoria. Other Cities and Towns: South Africans are invited to organise their march or demonstration and to send details to one of the following places listed below.